The recent ‘Honesty Sessions’ held at the club have helped clear the air among Essendon players. Essendon midfielder Brent Stanton believes a solid training program over the bye week was the catalyst for the teams strong performance against Richmond on Saturday night. 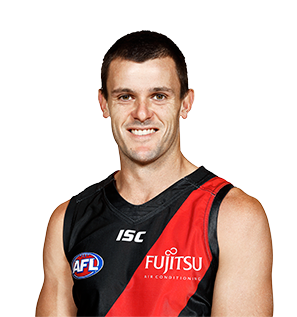 Essendon midfielder Brent Stanton is set to line up against the Western Bulldogs on Sunday after scans cleared him of serious damage to his ankle. Stanton is a tireless midfield runner renowned for his consistency. He’s played 20 or more games in each season between 2006 and 2015. In that time, Stanton has finished on the podium in the best and fairest four times. 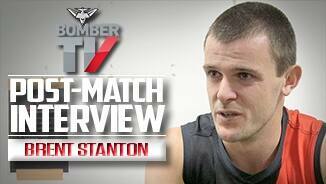 After his fourth season, Stanton inherited the number five jumper, worn previously by Essendon champion James Hird. Stanton is one of the leading possession winners in Essendon history. Describe your perfect day off: A sleep in and a hit of golf. English Premier League match, and a Masters Golf Tournament.